Combine your "tools in the actors’ toolbox" in this 2-week summer intensive! 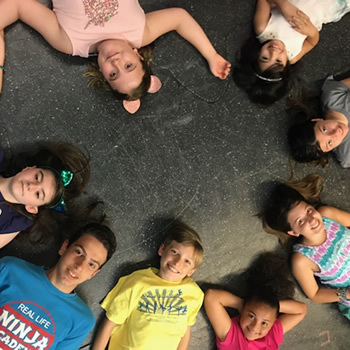 Students will be able to put all their theater knowledge together as well as singing and dancing to experience what it’s like to stage a short production with all your favorite characters from ALICE IN WONDERLAND. The mornings will be dedicated learning a wide range of theatrical skills, and the afternoons will be dedicated to the production portion of the show. Students will audition, rehearse, and use their creativity to create props, costumes, etc. On the final day, family and friends will be invited to see the show on stage at Playhouse on Park! -Master Class artists to be announced. Students may arrive as early as 8:30 am, and must be picked up by 4 pm. Students must bring their own lunches daily. Food will not be provided. Elizabeth Simmons is the Director of Education at Playhouse on Park! She also currently teaches at the Greater Hartford Academy of the Arts and Goodspeed Musicals, as well as with Hartford Performs. In New York City she received her Master's Degree in Educational Theatre from the City College of New York. Prior to relocating to CT, Elizabeth worked as a Teaching Artist for the Brooklyn Academy of Music, Queen's Theatre and the Center for Arts Education. As an actress, Elizabeth recently appeared as Miep in THE DIARY OF ANNE FRANK at Playhouse on Park: other favorite credits include: Stephanie Crawford (TO KILL A MOCKINGBIRD), Mrs.Rogers (AND THEN THERE WERE NONE), Annie (TABLE MANNERS) and Catherine (BOSTON MARRIAGE). Kevin Barlowski is the Director of Theatre and Performance Studies at Bay Path University, where he most recently directed Peter and the Starcatcher, Mary Poppins, The Wizard of Oz, We Will Rock You, and A Midsummer Night's Dream. Working extensively as a music director, director, actor, and accompanist throughout Massachusetts, New York and Connecticut, Kevin has had the distinct privilege of pairing with Playhouse on Park, Goodspeed Opera House, the Greater Hartford Academy of the Arts, Broadway for a New America, Hall High School, The Miracle League, Good Company Theatre, and Unified Theatre. 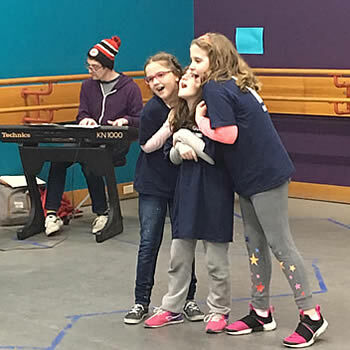 As a Theatre Arts instructor in the Hartford and West Hartford school districts for several years, Kevin has directed and music directed over 40 productions for the middle, high school and collegiate demographic. He holds a B.A. in Theatre Education from Emerson College and a M.A. in Shakespeare and Education from the University of Birmingham, UK. Kevin is a graduate of Circle in the Square Theatre School's Musical Theatre Program in New York City, and is in an active member of ATHE and EDTA.